Money doesn't have to make the world go round. It can also pay for quite a nice façade. 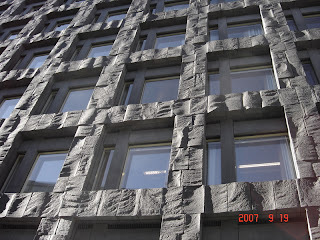 Revisiting our central bank at Brunkebergstorg (here).